Web & Browser based School Management System available on SAAS (Software as a Service) model. Web & Browser Based System, Available on SAAS (Software as a Service) Model. Easy to Understand Web based Application for Schools to manage Your Data like Student Information, Fees Payment, Timetable, Exam, Attendance, Tutor Information, Transportation, Class Registration, School Performance Monitoring, Inventory and others. Everything you wanted to know about the students can be registered into the system. Manage students' payment and issue official receipts without any hassle. Easy-to-use interface for scheduling staff (tutor), classroom, class and activities. SimTrain has built-in function that helps you perform simple payroll calculation. Easy to track absentees in many different ways and still know it! SimTrain Tuition Centre Management System Software is a total software solution, designed to address the unique needs of tuition centres, kindergarten, music schools, and other education tuition centre. SimTrain helps to manage students' payment and issues official receipts without any hassle including Outstanding Payment, Advanced Payment, Partial Payment, Discount, and Add-on Items (Charges). A comphrenensive students' information where everything you wanted to know about the students can be registered into the system. Students' record is fast and easy function. In SimTrain you can store huge information about the students including their profile photo, course register information, payment information and ect. In addition, it has been designed with a flexible search features. Users can search the record by date, by name and by course as well as create the reports which they can print it afterwards. SimTrain SaaS Pricing Plans, Find the Right Product for You. 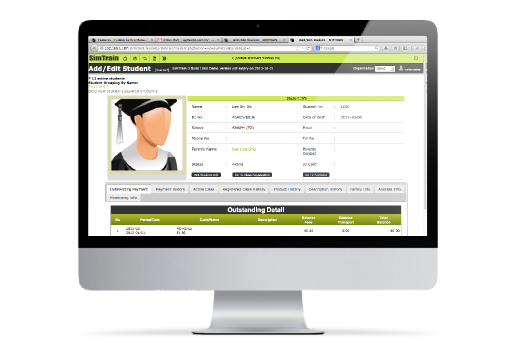 Control student profiles, generate receipt, control outstanding payment, monitor collections. SimTrain Lite + Basic attendance, scheduling, transports, results. Support class package, commission/payroll, staff attendance, class replacement, more detail reports. auto student attendance. 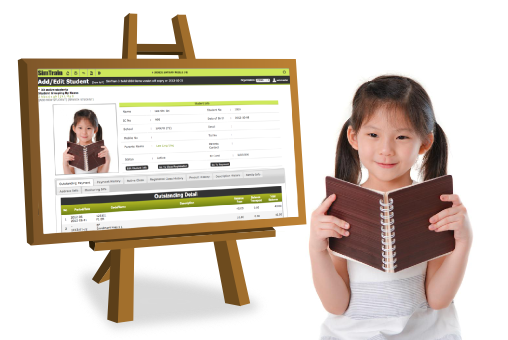 Allows parents or guardians to login the system, access their childs' educational performances.